Family Planning information and practical trainings to be made part of training in all Public /Private sector Medics and Paramedics Teaching Institutions, health care outlets, hospitals, and Maternity homes (including post abortion and postnatal family planning). It will ensure Pakistan's Commitment in pursuance of London Summit, FP2020 goal to achieve Universal Accessibility to FP/RH services by year 2020. Matter taken up in the provincial technical coordination committee with Department of Health, who agreed to send instructions to all health outlets. Coordination between the two departments synergized through joint procurement of contraceptives. 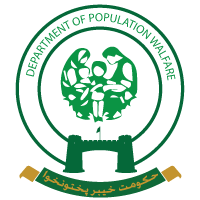 Department of Population Welfare Department to be included in the Independent Monitoring Unit (IMU).